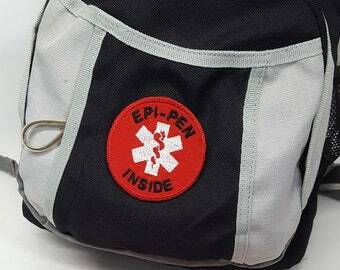 As the parents of two kids with Life Threatening Food Allergies, one of my worries, when seconds matter, is will someone struggle to find the spare set of Epi-Pens in the multiple pocket backpack that we use? With that concern in mind, we created these iron on patches. 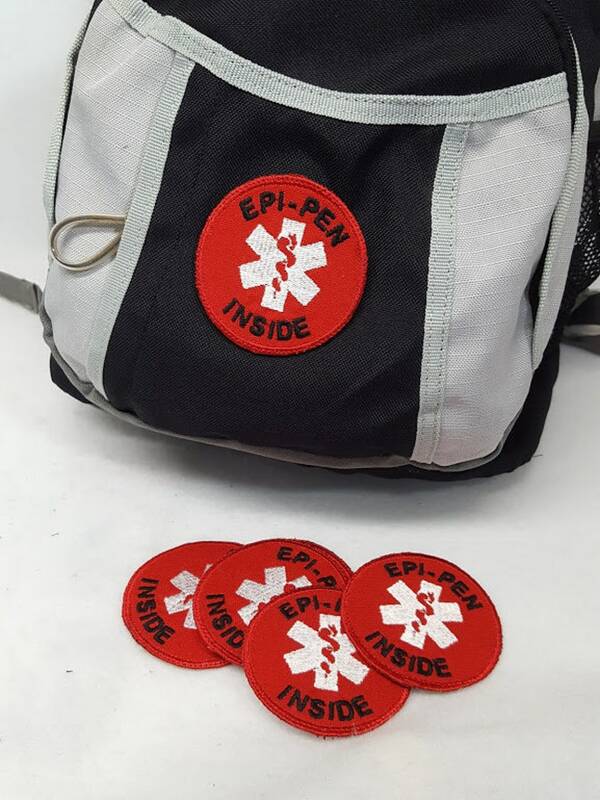 Red "Epi-Pen Inside" Medical Alert Iron On Patch is made from durable canvas, fade resistant embroidery and iron on adhesive. 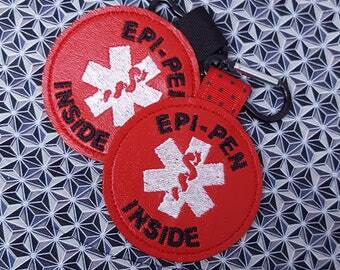 Medical Alert and "Epi-Pen Inside" embroidered on the front. This patch measures 3" x 3". 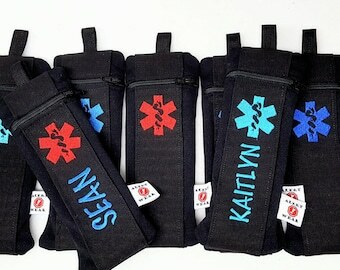 It will adhere easily to other fabric items such as a backpack, tote or purse. First class mail worldwide unless other arrangements have been made. Instructions included. 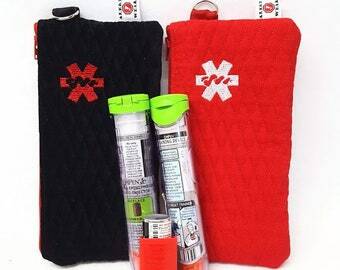 Alert Wear Patches are exclusive copyrighted patterns of Alert Wear. Copyright 2006-2019. All rights reserved.